If you ever wonder how Martin and the workshop create our tables, benches and accessories, the bench Martin brought in today is a good example. 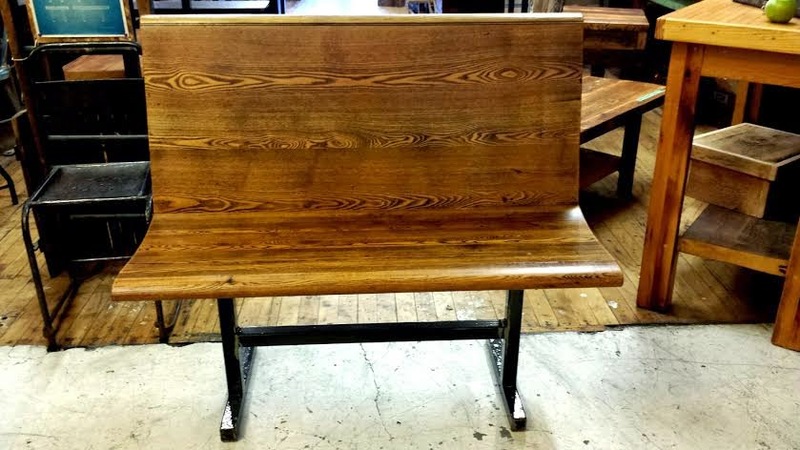 Made of reclaimed church pew, this was the prototype for our Number 10 Bench, but in the end, they decided to go for the model we now regularly have. 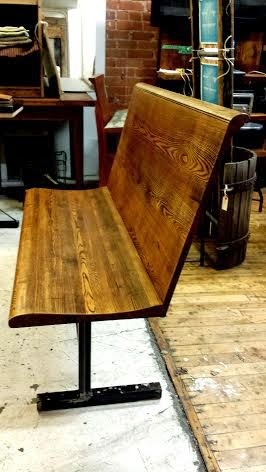 There are a couple of differences in this bench, the most obvious being the straight edge of the seat as opposed to the voluptuous curve of the No. 10. Less obvious is the top of the seat back, it is flat on the No. 10s in store. 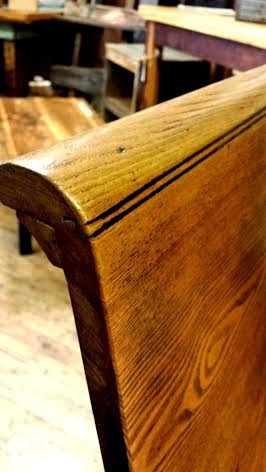 However, perhaps due to the reclaimed pews available to Martin at the time, this has a curved edge almost like a violin scroll (yes, I had to google 'violin diagram' to find out what that is called). We've decided to call it the No. 11 Pew Bench. Right now this is a one-of-a-kind, but, we are open to making more.